The need for diversity in film and media is not new, but in recent years, calls to address this issue have intensified.The stories being told, and as important, the people telling them need to reflect the world we live in. 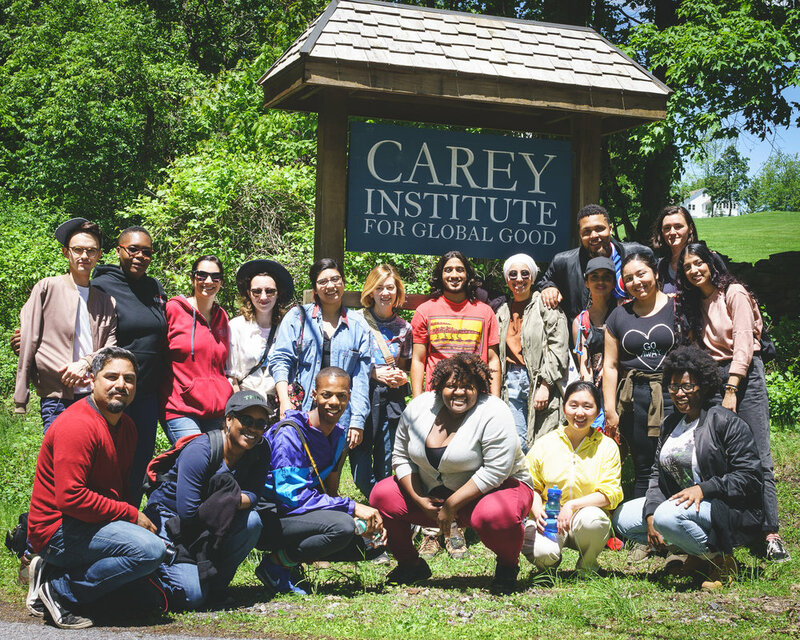 A partnership between Youth FX and the Carey Institute for Global Good, NeXt Doc is on the leading edge of this movement, cultivating voices of young filmmakers from diverse backgrounds. The program brings together emerging documentary storytellers, ages 18-24 years old, from across the country with award-winning documentary filmmakers to learn, share, and build skills. The NeXt Doc program includes masterclasses and film screenings presented by award-winning filmmakers along with workshops led by our team that explore project development, treatment writing, budgeting, doc history and critical explorations of power and representation in non-fiction storytelling. NeXt Doc is a one-of-a-kind opportunity for young diverse documentary filmmakers: a week-long residential program that is an intensive experience, designed to bolster their capacity to succeed professionally and creatively at the beginning stage of their career. The program is accessible to all filmmakers who are eligible to apply no matter their financial status. This is made possible by in-kind contributions from Youth FX and The Carey Institute for Global Good as well as other funders and partners.